The Bushman® spreader beams, which will be attached to Deshazo cranes, are to be used at a new pipe mill being constructed in the southeastern U.S. The mill will specialize in manufacturing seamless hot-rolled and seamless cold-drawn steel tubes. 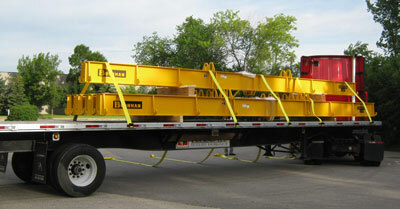 The spreader beams were custom-engineered to several different lifting capacities: (1) 25 metric ton; (5) 15 metric ton; and (9) 10 metric ton units. Length varied from six to 10 meters. Deshazo is a repeat customer of Bushman’s, previously having ordered coil grabs, C-hooks, sheet lifters, bottom blocks and additional spreader beams.